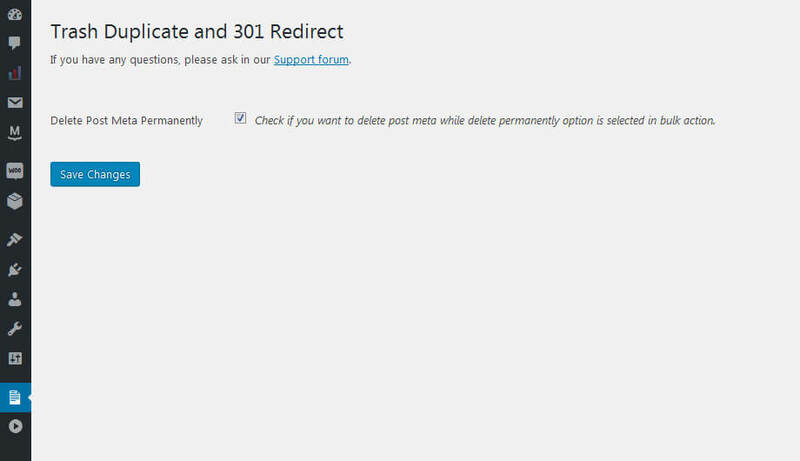 Trash Duplicate and 301 Redirect PRO is an ultimate WordPress plugin that can find and delete a duplicate post, pages, custom posts etc. It also takes care of your old post by redirecting to the new link with 301 redirects. Do your site have more than one content, editor/author? Duplicate content divides traffic and may be penalized by Google for SEO ranking. So, You must remove duplicate content (post, pages) and also you have to take care of removed content URL to redirect to the main URL. 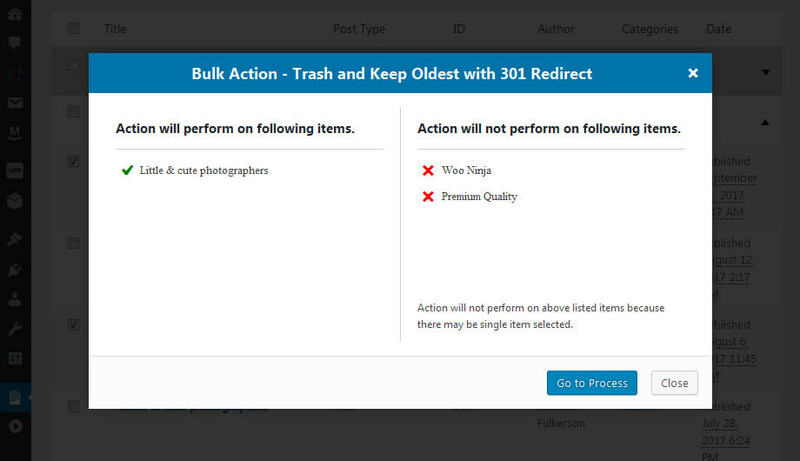 Now, with the help of Trash Duplicate and 301 Redirect PRO WordPress plugin you can find and remove duplicate content. Also permanently redirect removed content URL to the main URL to divert traffic to one URL and be safe from being penalized by Google for duplicate content. 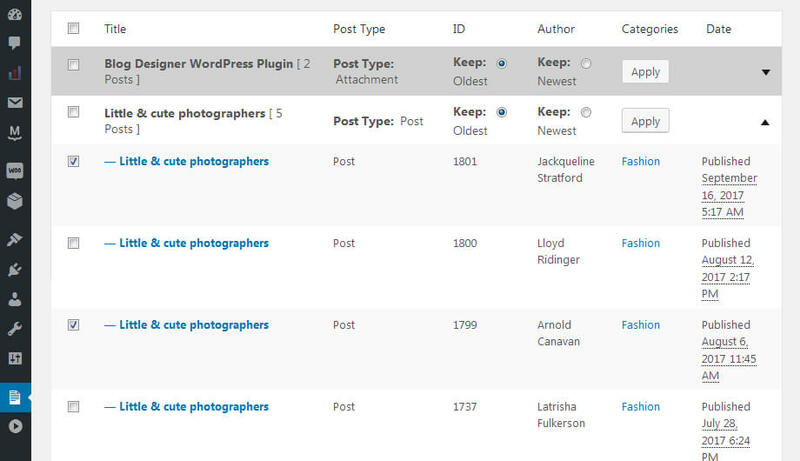 This plugin provides options to Trash duplicates posts/pages/custom post type posts and keep the newest or oldest. With the help of searching functionality is user can do the searching based on post type and post title. While deleting post permanently, it gives you option to post meta permanently. Using this plugin you can import/export the redirections easily. 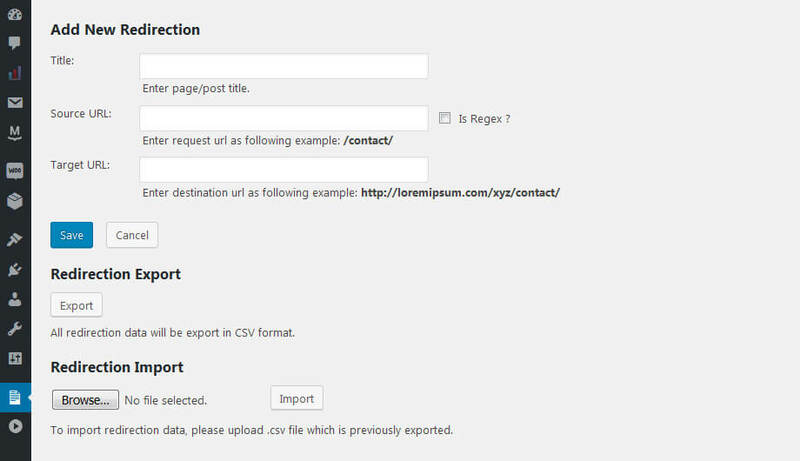 All redirection data will be transfered in CSV format. This plugin gives option to trash individual posts as well as bulk posts. Using this plugin user can add the wildcard redirection. You can use regular expressions in redirections. Advanced control panel to control all functionality of the plugin. Translate your plugin to new languages with just one click. Create .po file from our integrated .pot file. If you kept oldest post then the newest posts will be automatically redirected to the oldest post. Using this plugin user can add/remove redirections as well as enable/disable it easily. 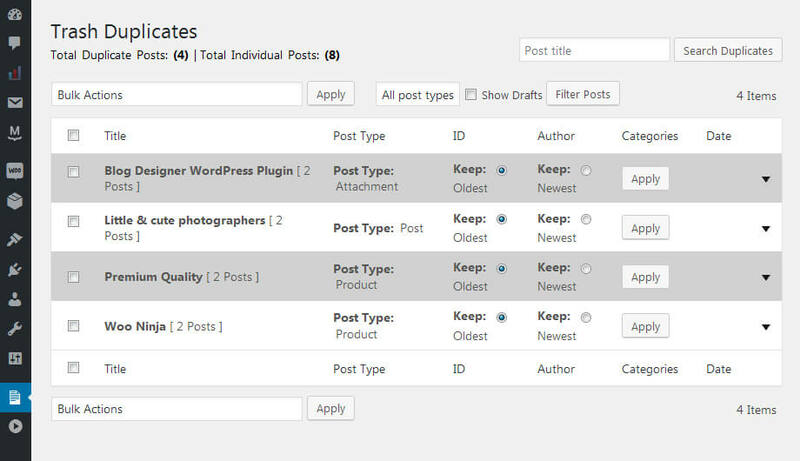 Using this plugin user can view all the duplicate posts, pages, custom post type posts. This Plugin is user friendly, no need of expert. Basic WordPress users can also use it easily. 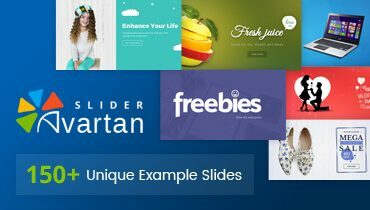 This plugin is compatible with the latest version of WordPress. 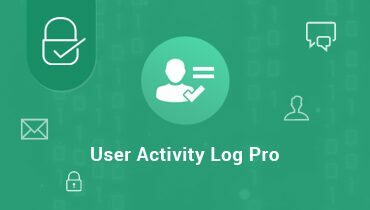 We’re active for any support issues and feature suggestions. Please contact us at support.solwininfotech.com. 3. Click on Upload Plugin Button and upload trash-duplicate-and-301-redirect-pro.zip. 5. Click on Activate to activate Trash Duplicate and 301 Redirect Pro plugin. 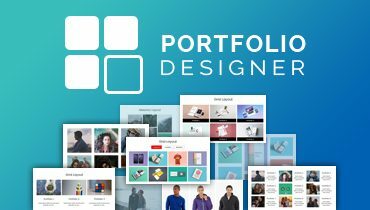 Is plugin support with custom post type? 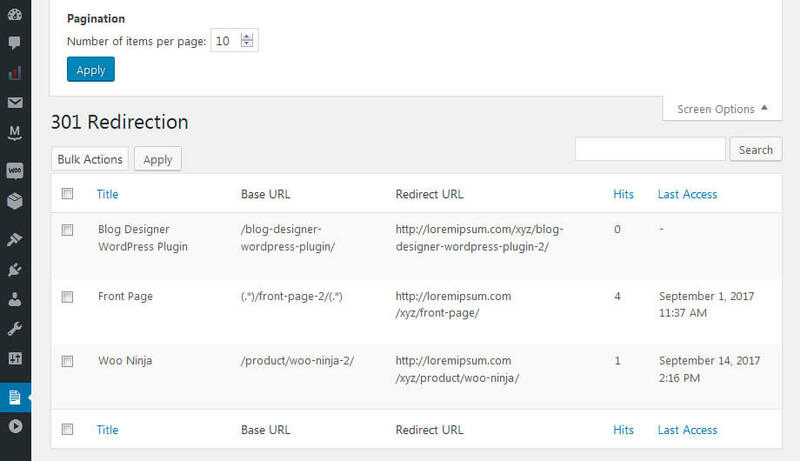 Yes, Trash Duplicate and 301 Redirect plugin supports with custom post type also. Can I undo or revert my changes after I removed duplicate posts? Yes you can. Once you done with process then those posts are simply moved on ‘Trash’, not fully deleted from sites. You can backup and live duplicate posts anytime with different naming. Is there any selection as I can select my newest post from duplicate posts and remove all old ones? Yes, there is one setting option available before following plugin steps. You can keep your oldest or newest post and remove remaining posts. Can I include my ‘Draft Posts’ with this filtration before proceed? Yes, you need to select “show drafts” option for that condition. Can I redirect my URLs to another website’s URLs? Yes, you can redirect your requested URLs to another websites URLs but make sure your requested URL must be within WordPress call.